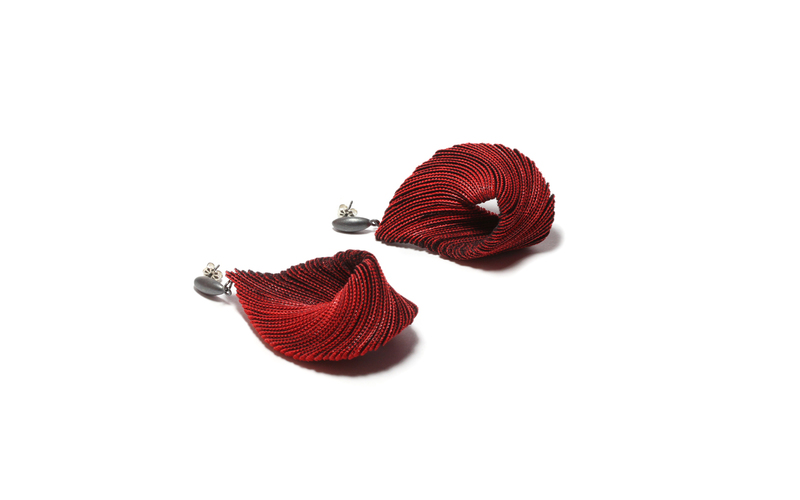 Shown below is a pair of earrings designed by artist Yong Joo Kim titled Comme Tolio. The work is completed with a pair of oval posts on the peak. The posts are made of pre-oxidized silver. The work debuted online at 4pm EST December 7th 2015. It may now be found in Musuem stores and art galleries throughout the world, retailing at usd 340. Copyright © 2018. All rights reserved. Email us if you have any questions.